Stocking my personal library on the cheap! Aside from that, being on the book front line, here amidst all these glorious books every day, working with fellow book lovers, seeing kids reading and talking about (and sometimes chewing on) books, getting into a state of semi-hyperventilation when chatting to customers who worship the same literary gods … all of that’s pretty good too. What’s your favourite recent Australian title? Oh, I can’t go past our local literature. Victoria’s south-west is blessed with lots of literary talent. The new stand-outs for me would be Min Manifold’s stunning book Written in Stone, which tells the story of the Great Ocean Road through its rock; artist Jeffrey Vizon’s picture story Awake, which has a really inspirational back-story; and all our recent thrillers and crime novels by the likes of Tracie Griffith, Jock Serong and Meredith McKinnon. 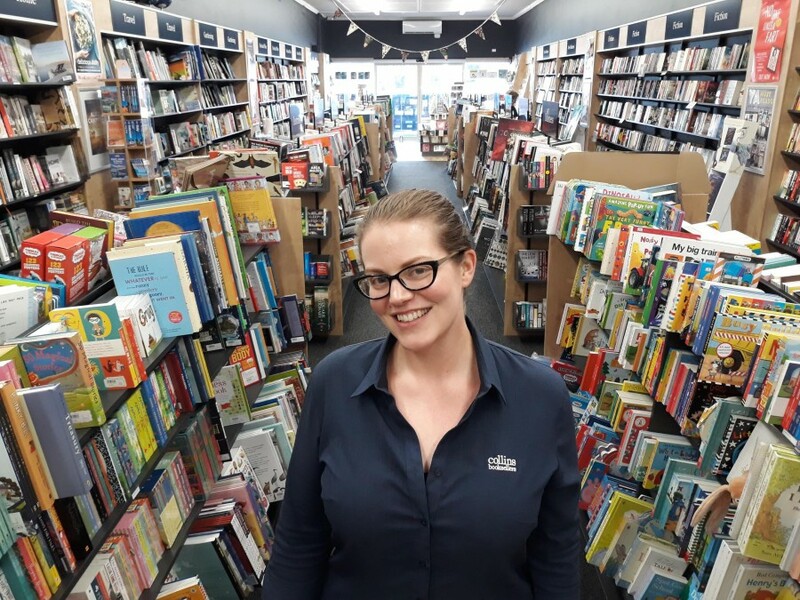 What’s your pet peeve about book retail? Being book-blind: staring at the shelves trying to find that one elusive book for a customer, and being completely unable to spot it … until 90 seconds after they leave. I can, however, always find starch packing bubbles – usually where I don’t want them, including down my top and in my shoe. What can publishers do better? I think the best publishers have a lot in common with the best bookstores. Their people need to have a real passion for books, which is nurtured and fostered through creativity and diversity, not strangled or homogenised by a looming dollar (I’ve yet to meet anyone who deals in any way with books who got into it for the riches!) They also need to invest in a genuine relationship with their customers, and support their product once it’s out in the world – especially if others are doing their bit to support it too. What was the last interaction on the floor that made you laugh? An elderly lady came in not long ago to get a gift. She’d been told the name of the book she was to get but couldn’t remember what it was. All she could recall was that it was a self-help guide about why we shouldn’t wear shoes, perhaps written by a banker. I’m pretty sure we steered her right with The Barefoot Investor.